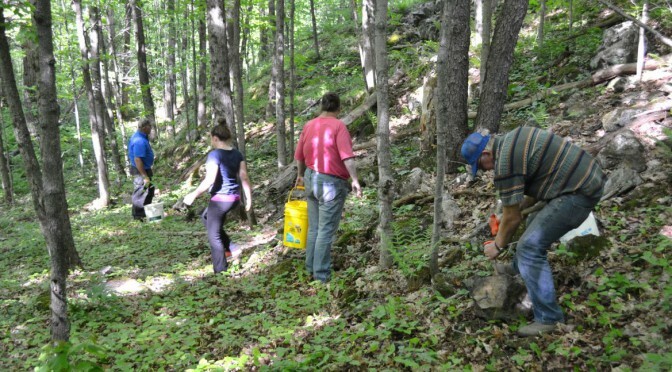 Fine Minerals or Minerals in Fine, NY? This will be a short report on a small occurrence. And, perhaps this will be even longer than it truly deserves. But we cannot expect gem tourmaline, perfect fluorites, or complete trilobites at all our favorite haunts. Nestled in a depression just off the intersection of Rte. 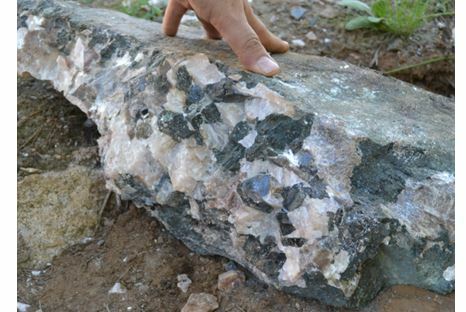 3 and Rte 58 in Fine, NY is an interesting occurrence of very coarse grained pyroxene (presumably diposide, but possibly augite) and potassium feldspar. There is associated calcite suggesting that the mineralization may have a skarn origin, but the outcrop exposures don’t appear to permit an unequivocal geologic explanation for the very coarse grained open space filling mineralization. 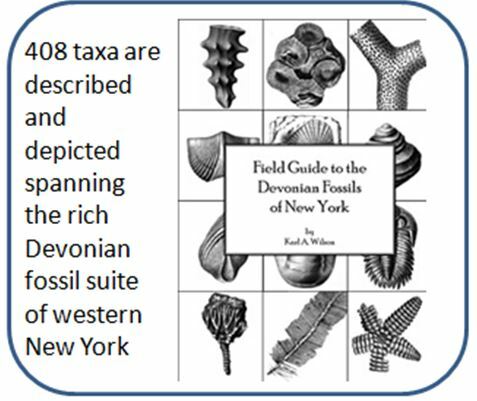 Field Guide to the Devonian Fossils of New York by Karl A. Wilson (Paleontological Research Institute, 2014): This compact (6” by 9”) spiral bound fieldbook is a update to the1994 PRI publication by David Linsley. After introductory sections on general Devonian stratigraphy and geology and a section of fossil collecting methods, the book systematically introduces Devonian fossils. Sections on sponges, corals, bryozoa, brachiopods, mollusks, anthropods, trilobites, echinoderms, and more follow with diagrammatic plates offset by descriptive pages detailing the fossils. By limiting the species to those found in New York, you are much more likely to identify your finds with this book than with a more inclusive book. The PRI price is $18 and the book can be obtained online with a modest additional shipping charge. Mine arrived in 3 days !